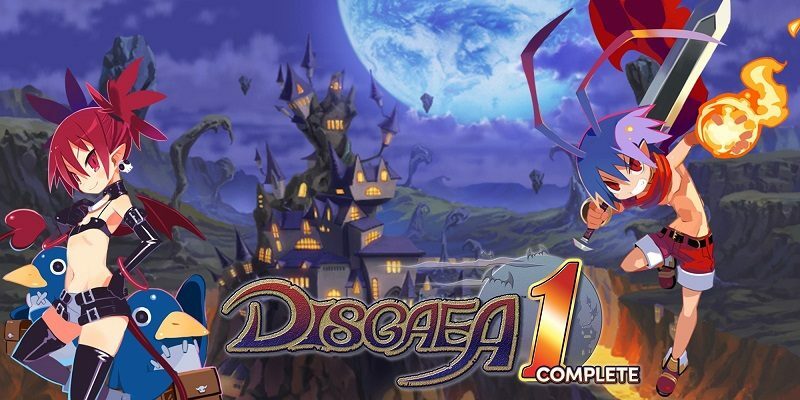 In this post, you will find all there is to know about the Software updates for Disgaea 1 Complete on Nintendo Switch (originally released on July 26th 2018 in Japan, October 9th 2018 in North America, and October 12th 2018 in Europe). How to download updates for Disgaea 1 Complete for the Nintendo Switch? Added a function to skip events. Changed battle mechanics when registered attacks can no longer be executed. Added another level of camera zoom during battle. Changed the display mechanics for Geo Panel Effects. Improved movement function during special skills. Added a list of characters being affected by multi-target skills. Changed battle mechanics for heal and support skills. Changed battle mechanics for giving up. Changed the system mechanics for rearranging characters. Changed the system mechanics for Dark Assembly Rank. Added a function to skip skill animations. Changed how the cursor acts in-game. Changed information that is displayed. Changed battle mechanics for End Turn. Changed system mechanics of the Dark Assembly. Changed the system mechanics of the hospital prizes. Changed system mechanics of the Item Worlder. Additional notes: unfortunately, no details are available about this update. Shortened the animations of Geo Panel effects. Added a sorting function for Special Skills. Added more functionality for arranging the order of characters. Shortened the animations for the Bonus Gauge. Increased the max level and effect of the “Statistician” Innocent. Fixes a crash issue when players play for extended periods. Level up animation will freeze the game if it keeps occurring. Item world maps that cannot be cleared without item was fixed. When using Mr. Gency’s Exit in the item world, some effects like brave heart will still remains.